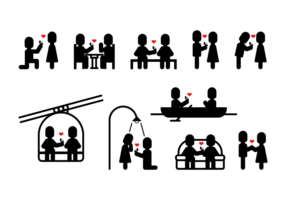 A set of human pictograms representing a couple going through ups and downs in their romantic life. 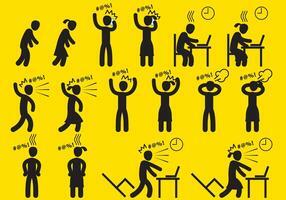 Indigestion Symptoms Problem Stick Figure Pictogram Icons. Exorcist Exorcism Evil Demon Spirit Ritual Stick Figure Pictogram Icon.